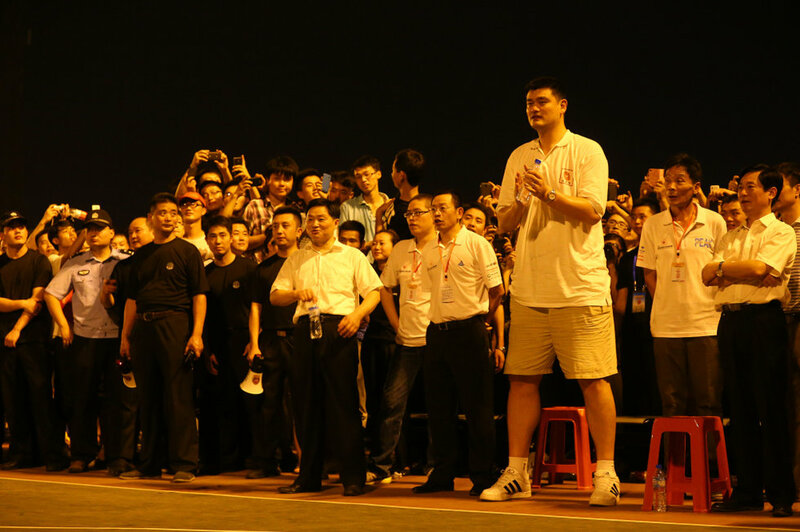 Does Yao Ming have body guards when he travels around like Shaq and kobe? 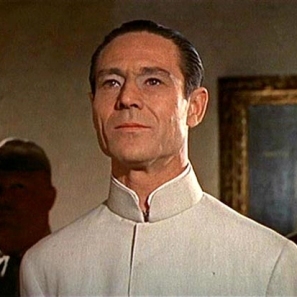 He is a likely target of those jealous people. 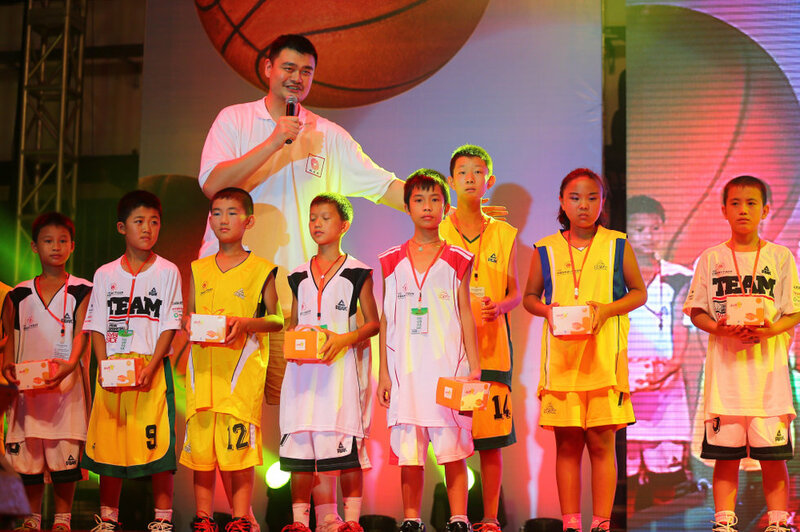 So the Boao Forum for Asia Annual Conference had come to a successful closure on April 4. 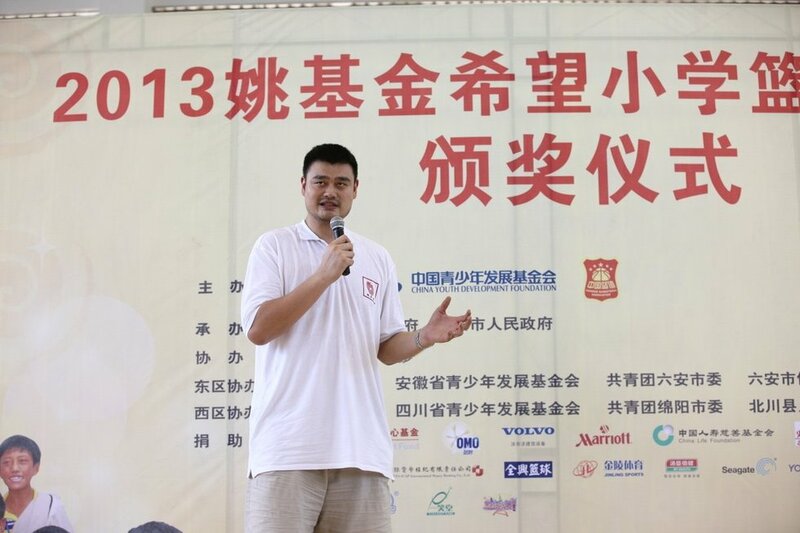 But Yao Ming stayed behind, and was in Sanya yesterday. 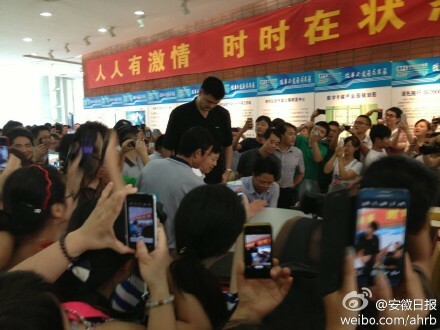 Yao Ming is currently in Liu An City of Anhui Province. 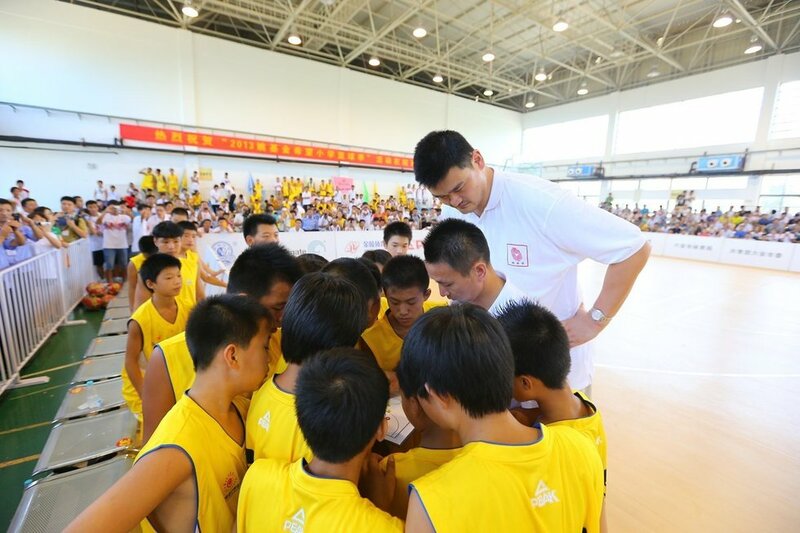 He is there for the 2nd season of Yao Foundation Project Hope Primary School basketball season. This year, the scale of this project DOUBLED. 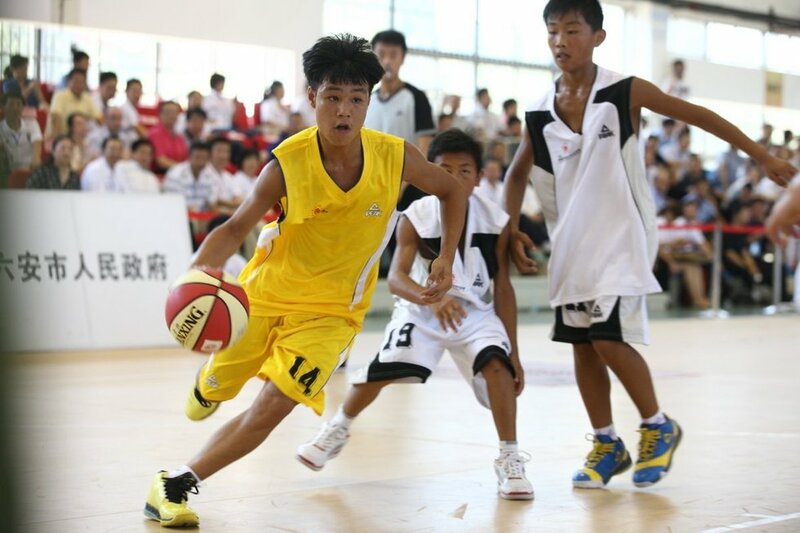 Instead of just entertaining 40 some teams from Project Hope primary schools, this year, the league had been divided into 2 regions: East Region and West Region, and a total of over 80 some Project Hope Primary Schools sent teams to compete in the league. 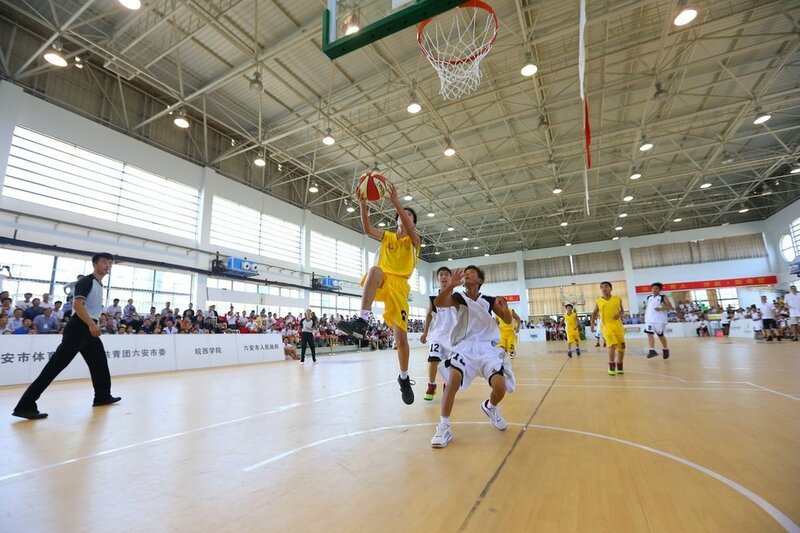 Liu An City provided the venue for competitions of the East Region. 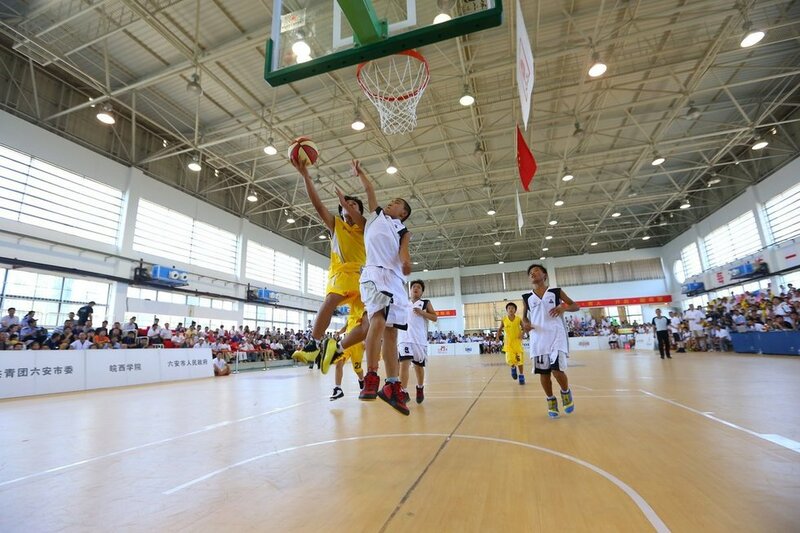 37 teams (of over 500 boys and girls) had arrived on the 10th, and had started competing against each other in an elimination format. 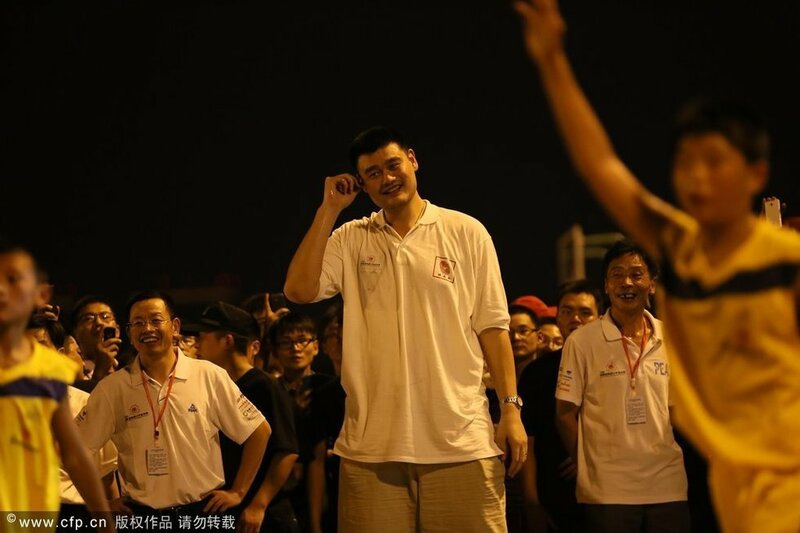 And Yao Ming arrived yesterday to Liu An City for the final 3 days of the tournament. 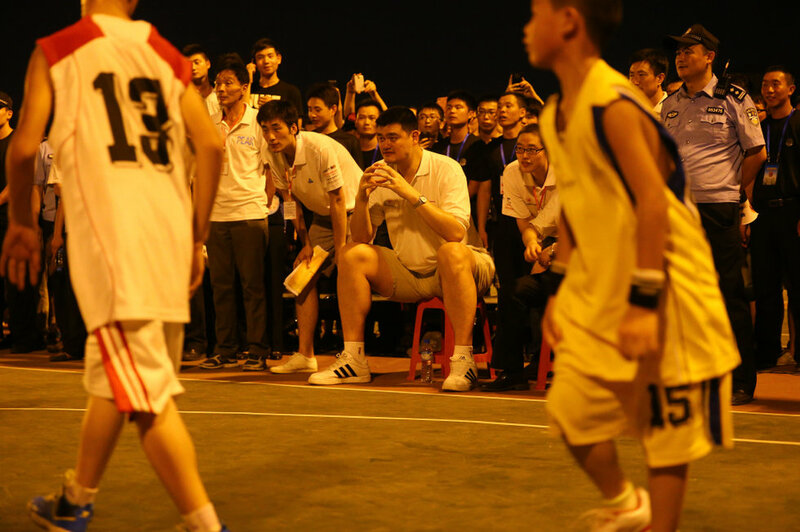 He went there last night, and stayed for over an hour to watch one of the games between 2 Project Hope Primary Schools. 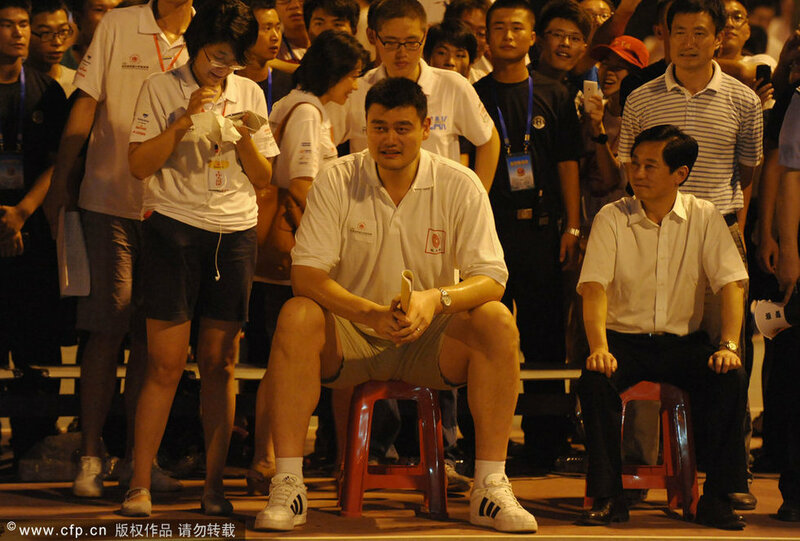 Photos of Yao Ming at last night's basketball game. 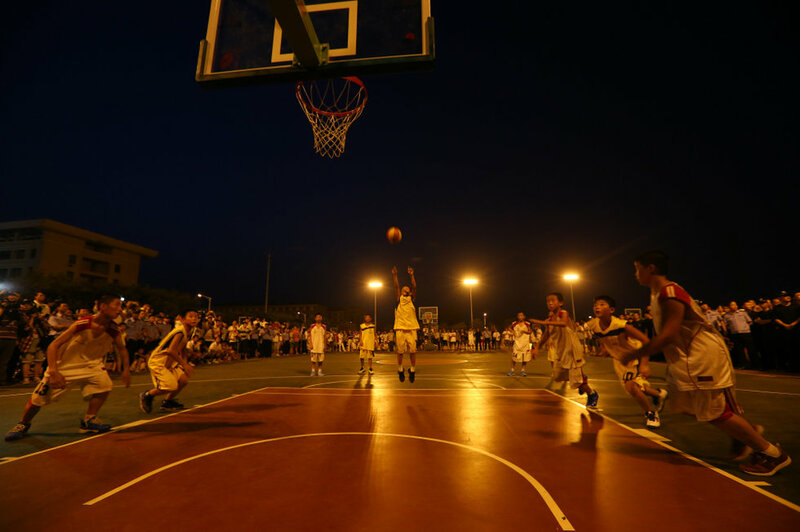 And this morning, it was an outing for the boys and girls to an amusement park in Liu An City. 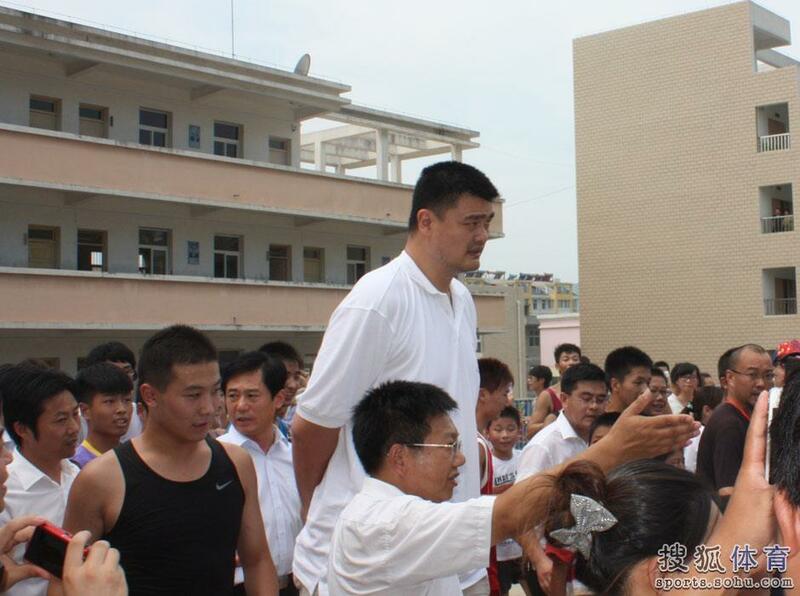 Yao Ming also went there to spend some time with them. 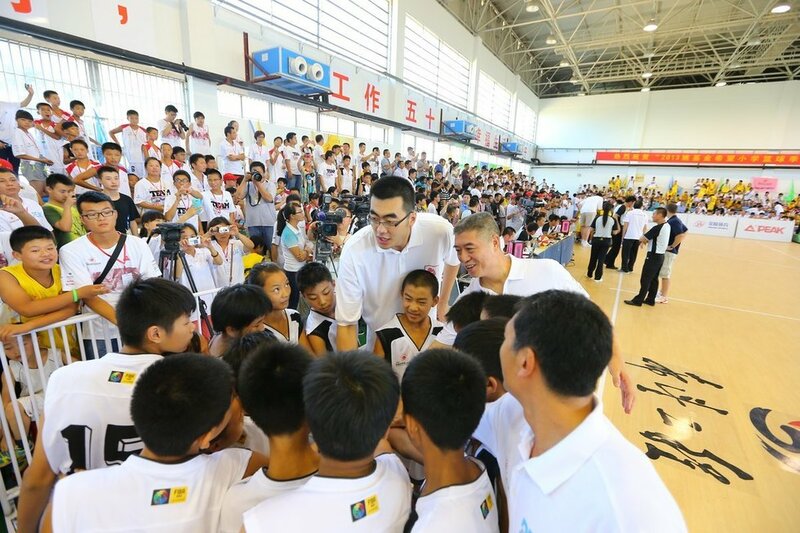 And right after that, he took a car ride 120 kilometers away from Liu An City to visit Jin Zai County Project Hope Primary School, the very first Project Hope primary school in China. Some photos of his visit this morning. 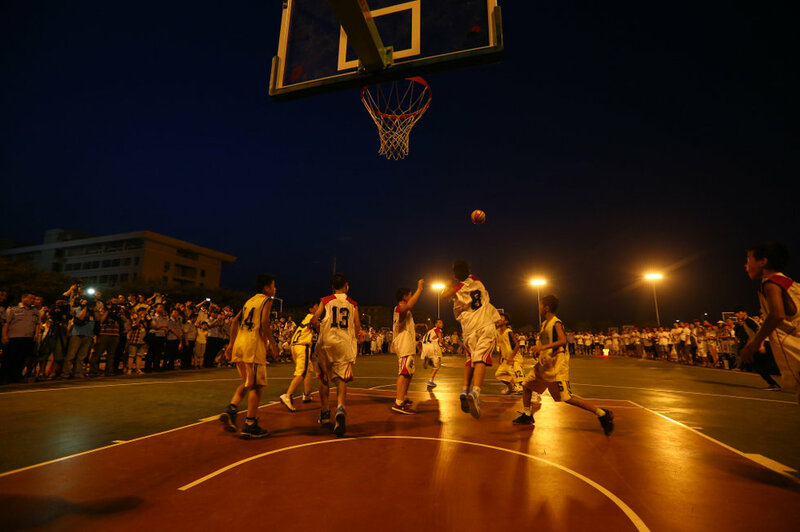 All the competitions for the East Region of Yao Foundation Project Hope Primary School Basketball Season had come to a successful closure. 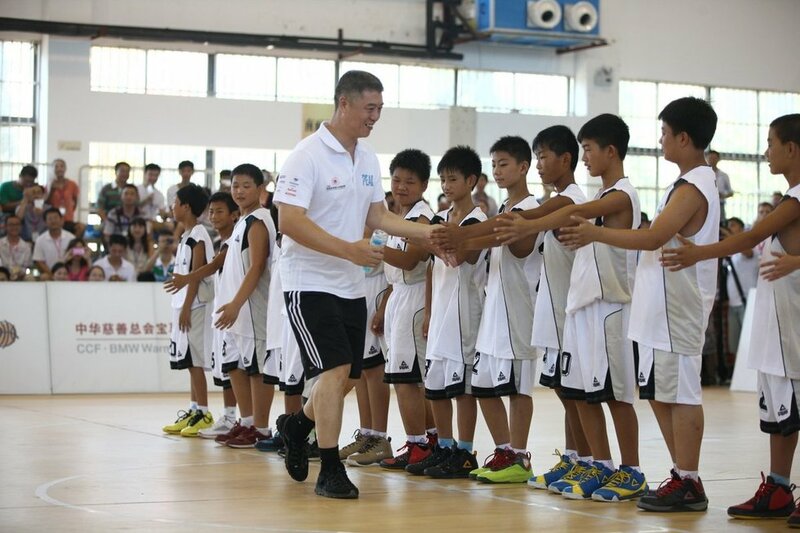 So on Wednesday evening, Yao Foundation organized a celebration/award ceremony for all the winners of the various basketball and extra-curricular competitions (basktball, singing, drawing, arts, music, cooking) at the hall of Jin Zai County Primary School. 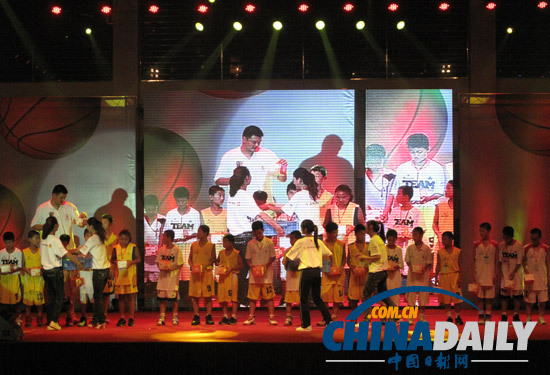 The students also performed dancing, singing, poem recitation for the audience. 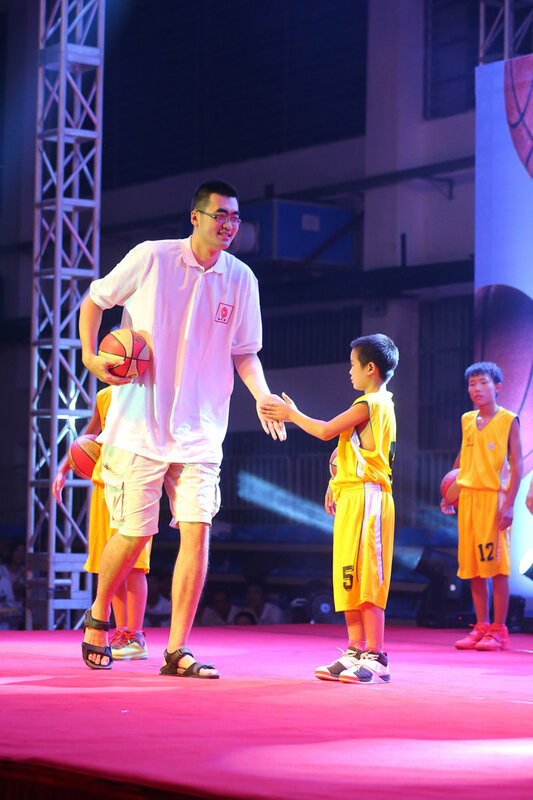 Max Zhang Zhaoxu also came on stage and had fun with the young school kids. 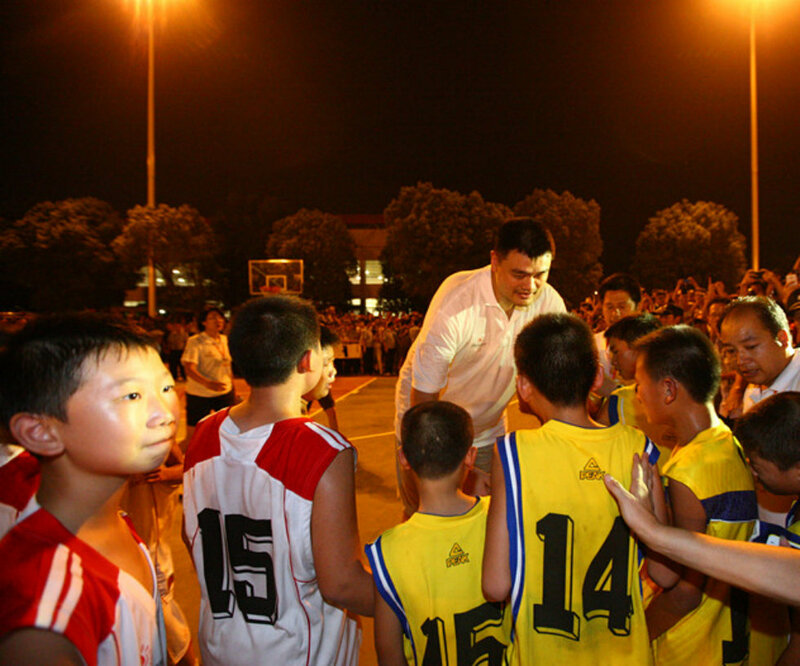 Towards the end of the show, Yao Ming picked out 28 boys and girls out of the 400 some students that happened to have their birthdays in August. 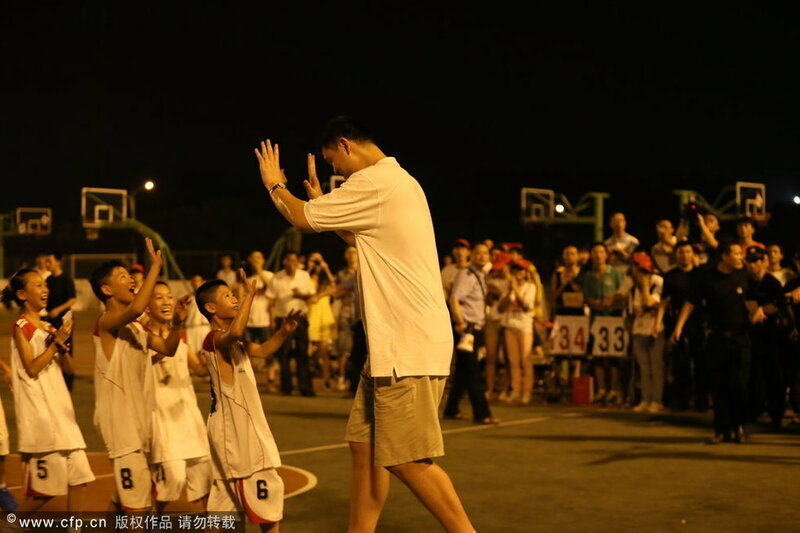 He presented them with their birthday gifts as well as led singing Happy Birthday for them. 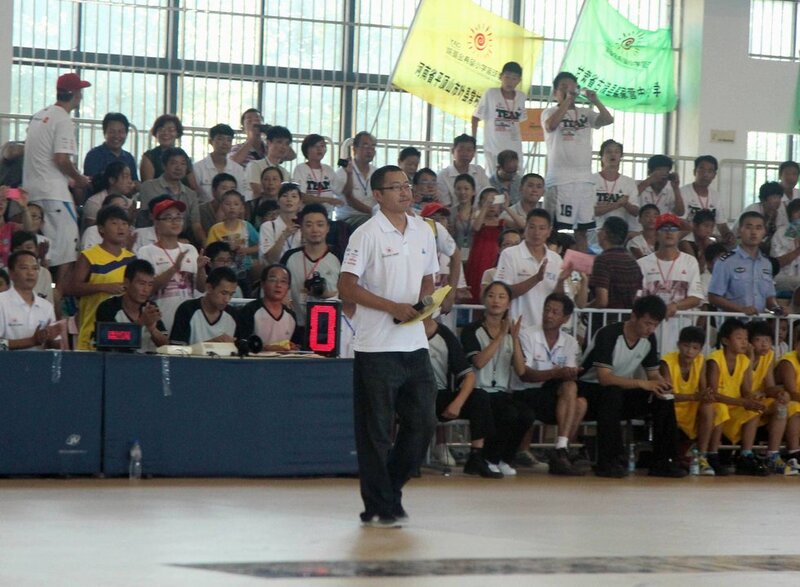 And Su Mingjuan, a honorary spokesperson for Project Hope, was also there back in her Alma Mater school to say a few encouraging words for the students. Su Mingjuan used to be a very poor local girl at Jin Zai County. She was so poor that she could not receive proper education. 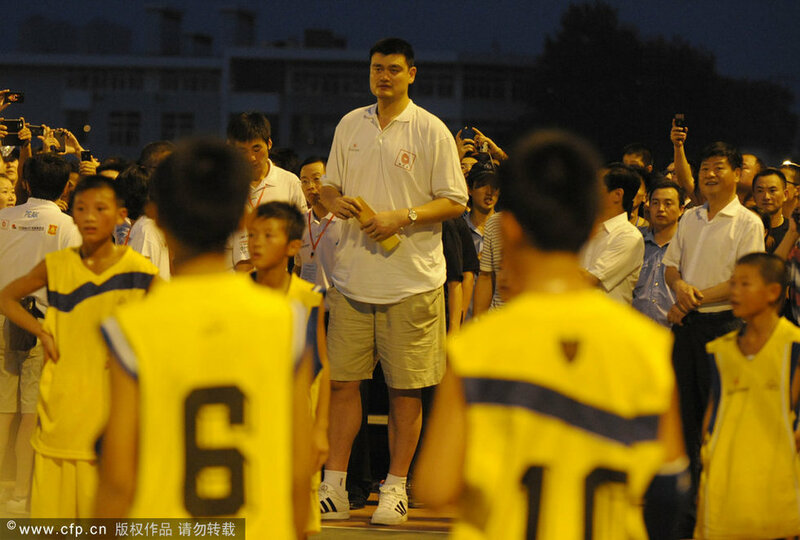 A Beijing reporter took her photo, and changed her destiny; she became famous with her big anticipative eyes and received national attention. 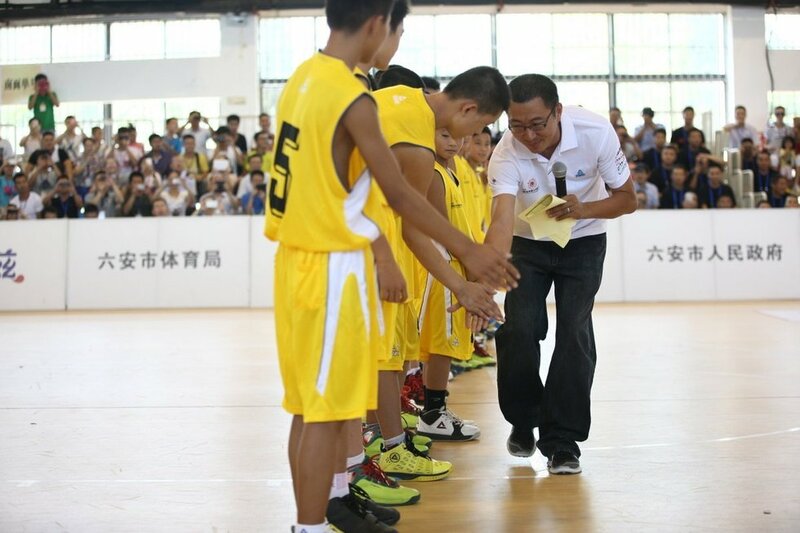 She became the very first batch of beneficiaries of the Project Hope, and was able to finish primary education at Jin Zai County Primary School, and moved to secondary, high and vocational school, and now works for the Industrial and Commercial Bank of China of Anhui. 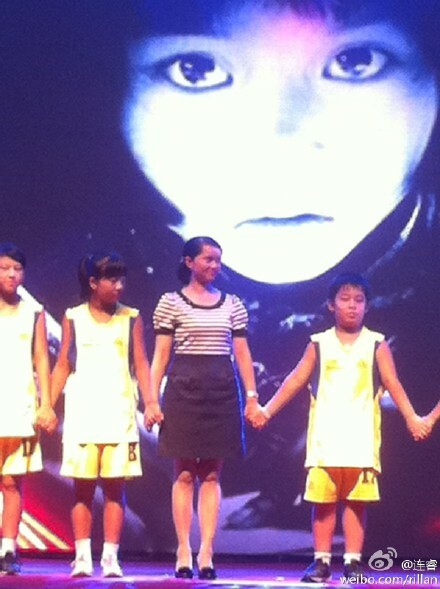 Some photos at the celebration party/variety show on Wednesday night. 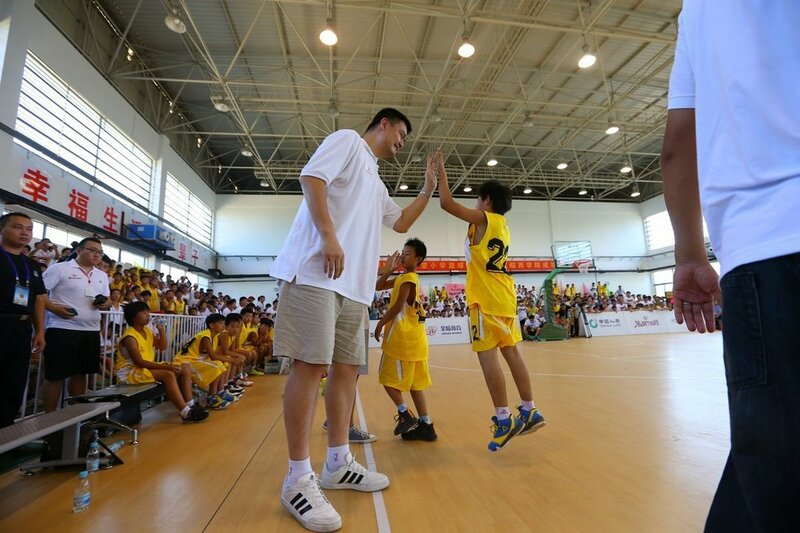 Yesterday was the last day of the East Region of Yao Foundation Project Hope Primary School Basketball Season. 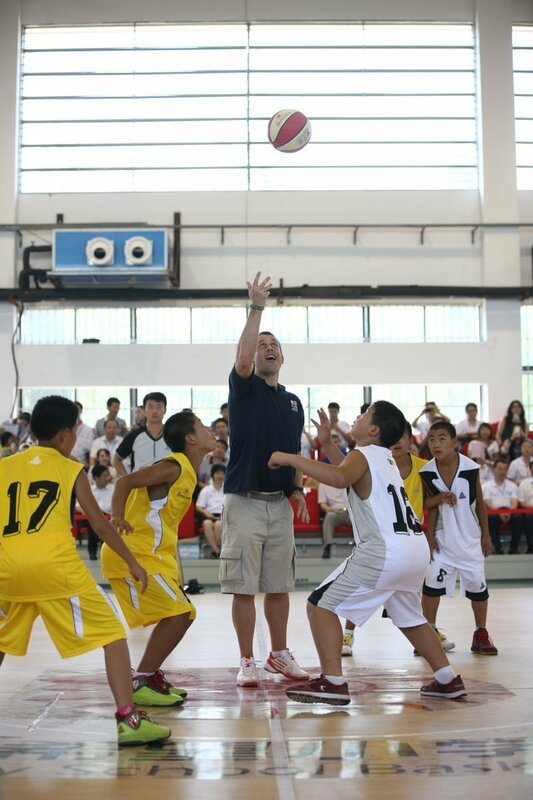 The organizers picked outstanding players out of the 37 participating teams to form 2 All Stars teams. 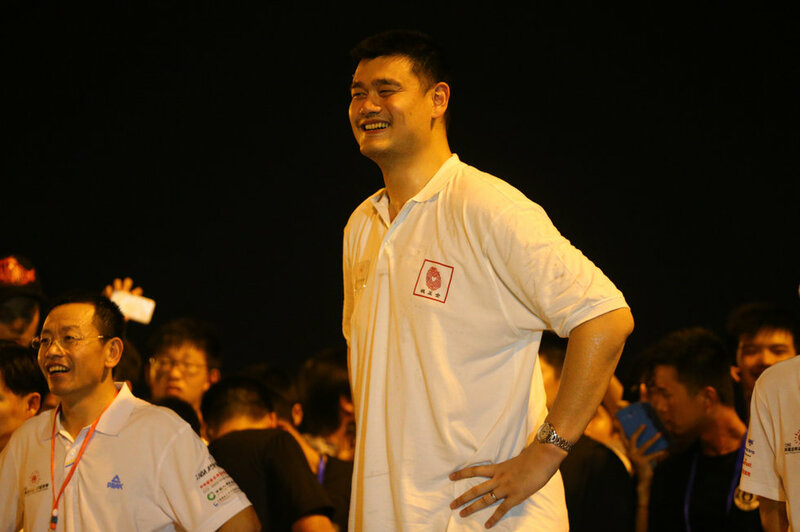 Yao Ming and his buddy CCTV5 basketball commentator Yu Jia acted as head coach and assistant coach for one team, while Max Zhang Zhaoxu and Xu Jicheng, sports (basketball section) chief editor for Xinhua News Agency acted as head coach and assistant coach for the other. 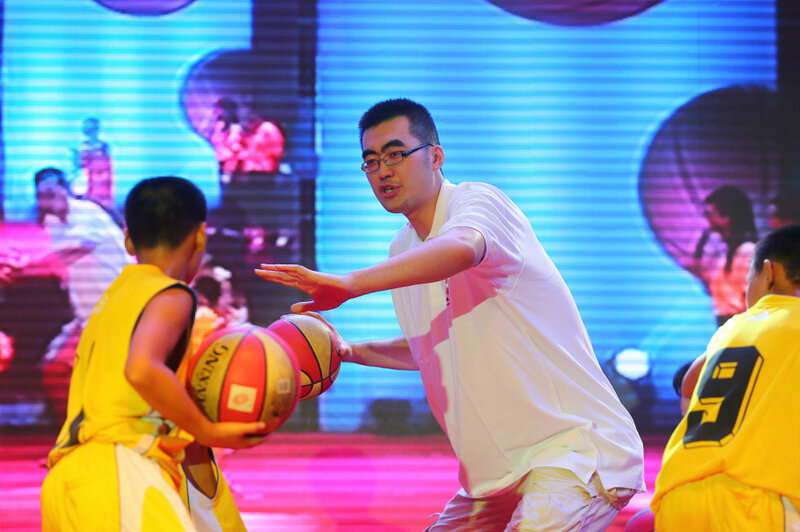 David Shoemaker, CEO of NBA China was there to officiate the opening of the All Star Game between the 2 teams. 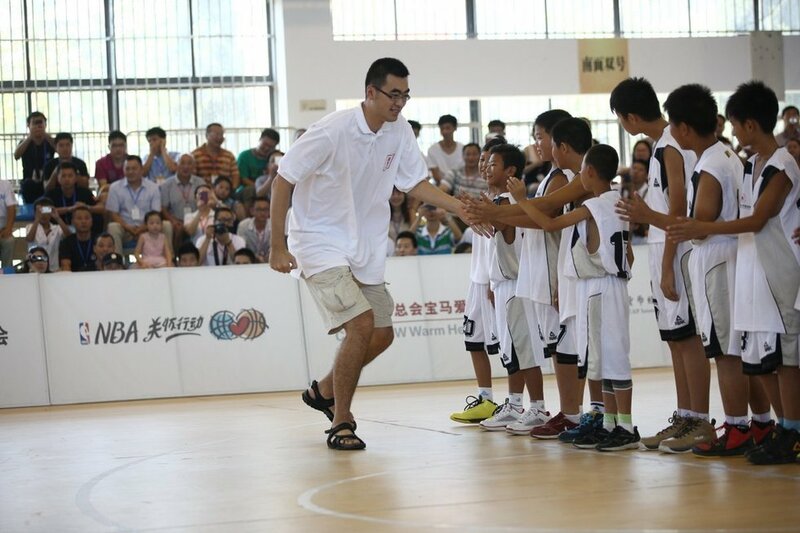 Yao's team eventually came from behind to win the competition. 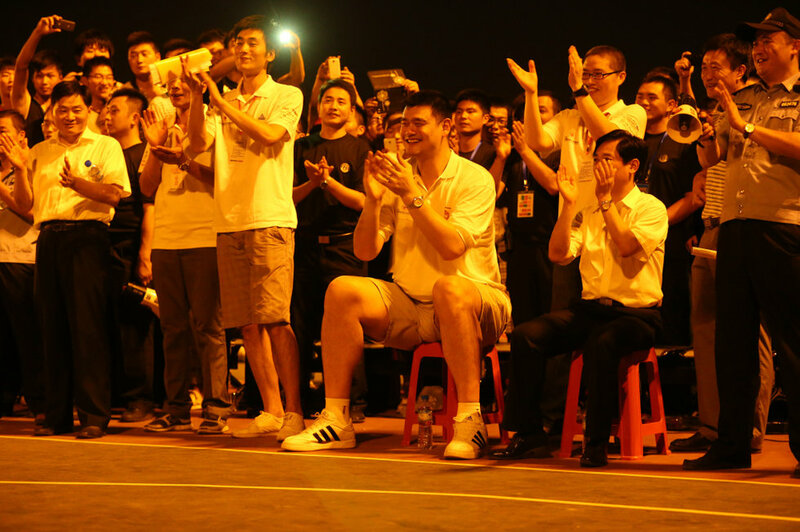 Right after the "All Star Game" in the morning, Yao Ming left Liu An City and travelled to Hefei, the capital and largest city of Anhui Province to pay a visit to The Time Publishing and Media. 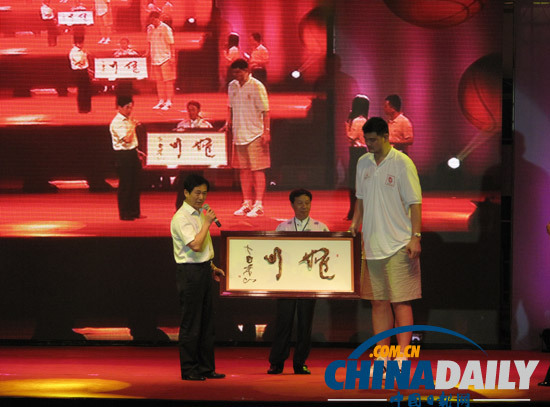 Back in May 2012, Yao Ming had given his consent/authorization to Opus Media Group of UK and Time Publishing and Media Company, China to create and publish The Official Yao Ming Opus. 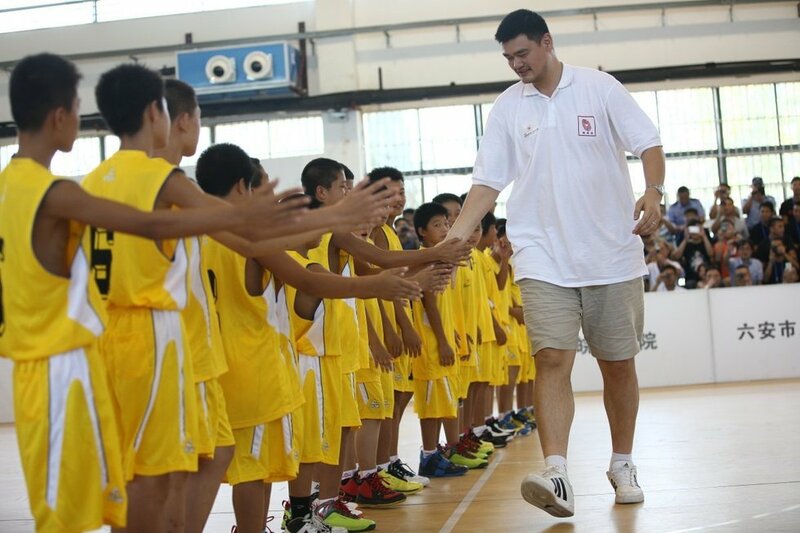 The Official Yao Ming Opus is in process of compilation and editing, and should be ready for release sometimes next year. 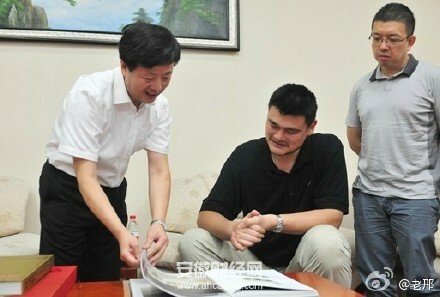 Yao Ming went there to inspect the quality and contents of the Official Yao Ming Opus. 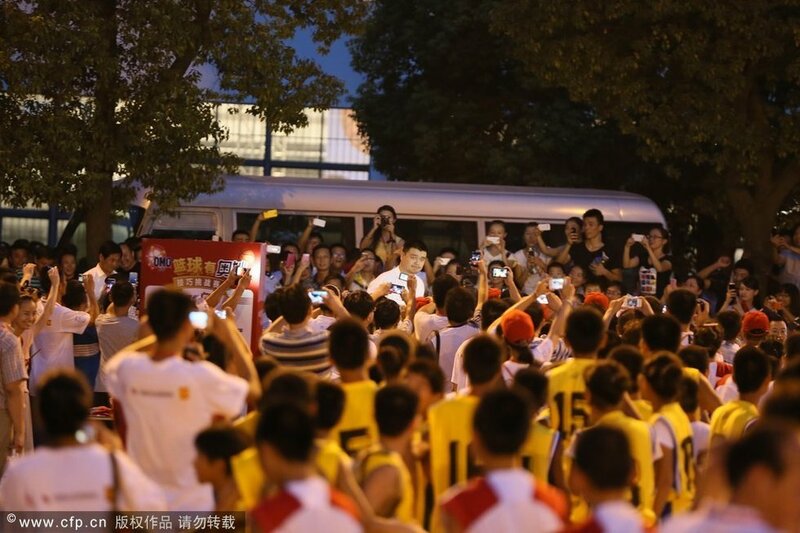 And he almost created a riot as the onlooking crowd and working staff of Time Publishing and Media Company were all excited to see him, and took photos of him with their mobile phones. Here are some photos of his visit to Time Publishing and Media Company yesterday afternoon.